See a real-world example of how a sensor network helps elderly patients avoid potentially life-threatening falls, and how IoT can leap forward in the future. 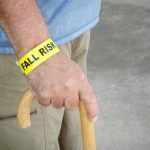 Falls are a big deal for the elderly, with millions of those over 65 taking a tumble each year, leading to head injuries, broken bones and sometimes worse. I wrote earlier this year about an innovative project from the University of Manchester to use games to help elderly people avoid falls. The games have been developed by a team from the University of Manchester in partnership with Trafford Hospitals and MIRA Rehab Limited. Participants played on the Exergame three times a week in their independent living accommodation, and the results suggest that they received a boost to both their balance and confidence as a result. Of course, that isn’t the only technology aiming to make a difference in this area. A team from the University of Missouri have developed sensors capable of measuring the gait and stride length of people, and therefore predict the likelihood of falls. The sensor network was installed in a state-of-the-art retirement home called TigerPlace, and generates an array of images and alerts to notify nurses when irregular motions were detected. The aim is for the staff to then intervene and prevent falls from happening. The sensors generated a huge amount of data about the mobility of each patient, and it emerged that a 5cm decline in gait speed per second could be connected with an 86.3% chance of a fall within the next three weeks. What’s more, a shortened stride length was also linked with a high chance of falling in the near future. Such projects are a key part of encouraging the elderly to live healthy and independent lives. I wrote earlier this year, for instance, about a project from researchers at UT Arlington where a smart home was developed with a range of features to help their elderly residents retain independence. Sensors underneath tiles on the floor that will allow researchers to measure and evaluate changes in walking gaits and weight that might suggest illness or injury. A special camera embedded in a bathroom mirror that will tell researchers about day-to-day heart rate, facial expression, and skin color. Changes in expression and skin color can reveal aspects of the overall health status as well as about oxygen content of the blood. Lift chair to help residents stand. Smart appliances such as an LG microwave, range, and refrigerator. Connected exercise equipment, including a recumbent bike and interactive Kinect-based Tai Chi trainer. Other systems that will detect whether medication is being properly managed or if the resident is not sleeping well or staying in bed too long. It would be easy to imagine the sensor network developed by the Missouri team fitting in with these technologies and provide an added level of support and security. The Missouri team reveal that such technologically supportive environments allow residents to retain their independence for around twice as long as is typically the case, thus suggesting a real benefit to both society and the residents themselves. They will next explore how health staff can use the data generated by the sensors to better intervene and prevent falls from occurring.